Proposed amendments to the RTI Act will end up serving officialdom at the cost of citizens. On April 2, Maharashtra-based Suhas Haldankar, a 35-year-old civil society activist known for exposing the ill-doings in local governing bodies by using information gathered under the Right To Information (RTI) Act, 2005, was murdered. He was battered to death, allegedly by people affected by his exposure of the misuse of public money by those responsible for constructing poor quality roads and unusable toilets (under the Centre's flagship programme, the Swachh Bharat Abhiyan). This, according to an NGO, Commonwealth Human Rights Initiative (CHRI), was the second murder of an RTI activist in the state in 2017. A total of 66 RTI activists have been killed nationwide since the Act came into force 12 years ago, says CHRI. One week later, the CHRI wrote to the Maharashtra Information Commission asking it to take cognisance of all pending RTI applications filed by Haldankar and seeking a direction to public authorities to disclose all the information sought in accordance with the RTI Act. Irrespective of whether the commission pays heed to the request or not, RTI activists today have an option to see that the issues raised by their departed colleague are pursued. However, this may not remain the case if changes proposed by the central government in Rules (draft RTI Rules 2017) framed under the RTI Act are implemented. If the proposals are accepted, proceedings pending before the Commission can be dropped in case of the death of the appellant. 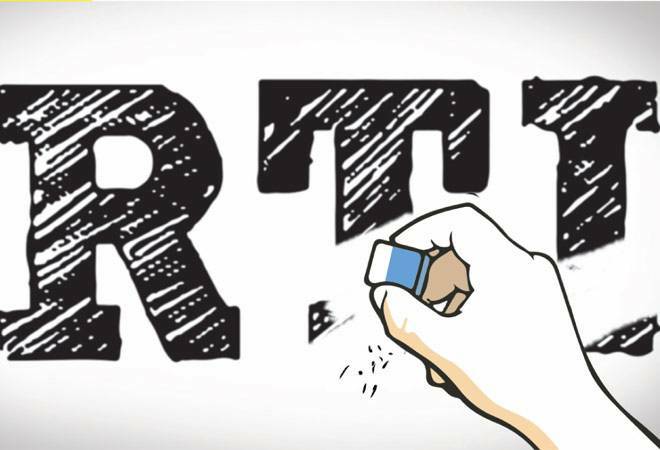 The move has invited widespread criticism, with activists fearing a rise in attacks against RTI activists. Periodic amendments to Rules under various Acts are not bad. However, the amendments should be aimed at strengthening the Act and bringing it in tune with the changing times and requirements. Not all changes in draft RTI Rules 2017 seem to be in that spirit. Consider this. Under existing rules, the Central Information Commission, or CIC, needs to hear the appellant before deciding to dismiss the case. Under the proposed amendment, it can dismiss appeals without giving that opportunity to the aggrieved person. Similarly, the proposed changes put the onus on the complainant to serve the appeal to the respondent and produce proof before the CIC. Of half-a-dozen new rules that have found place in the draft amendment, one provides powers to the public authority to delegate any of its officers to present its case before the Commission. While this can be seen as a measure to avoid overburdening some officers in key positions, its impact on the quality of the hearings also needs to be looked at. Any move to make RTI rules cumbersome may go against individual RTI applicants. At the same time, these are not significant issues for corporate applicants, who have been increasingly utilising this opportunity to know more about government decisions that may impact their business interests. Indian public authorities have, over the years, found several ways to evade RTI queries. The amendments should be making such evasion tougher and not easier. However, given the fact that the changes are still in the draft stage, and the authority has received public comments on the draft till April 15, one can hope that better sense prevails.